Kellogg isn't giving up on sugary cereals just yet. 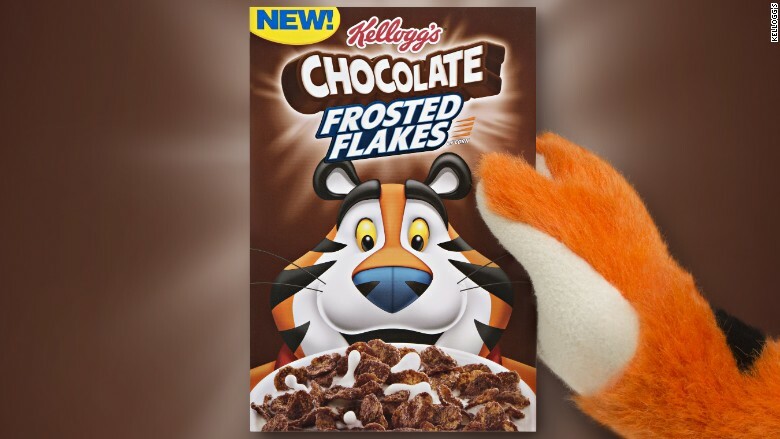 The cereal company's latest breakfast invention is Chocolate Frosted Flakes, which will hit shelves across the nation in November. It might appear gimmicky, but Chocolate Frosted Flakes is part of Kellogg's strategy to stop the bleeding in its core "morning foods" business, which includes staples like Rice Krispies and Pop-Tarts. As consumers reach for healthier food options, cereal is becoming a harder sell: Kellogg's breakfast sales dropped nearly 7% this summer compared to the same time last year. The company's stock is down more than 17% overall since last October. Kellogg's breakfast division makes up about 22% of the company's $13 billion in annual sales -- slightly less than its snack division, which makes Keebler, Cheez-Its and Pringles. But cereal remains insanely profitable, basically bankrolling Kellogg. Breakfast foods account for more than 40% of Kellogg's bottom line. To appease modern consumer appetites, Kellogg's Chocolate Frosted Flakes are made with natural flavors and no preservatives. It's not Kashi, but it's something. Kellogg's competitor General Mills (GIS), which makes Cocoa Puffs, Cheerios and Lucky Charms, is facing similar problems. Sales of its cereal division dropped 7% during the summer quarter compared to 2016. Consumers' changing tastes aren't exclusive to breakfast food makers. For example, Coca-Cola (KO) is doubling down on its sugar-free offerings by replacing Coke Zero with a new better-tasting drink aptly named Coca-Cola Zero Sugar. Still, big brands like Kellogg (K) can't afford to ditch decadent foods all together. 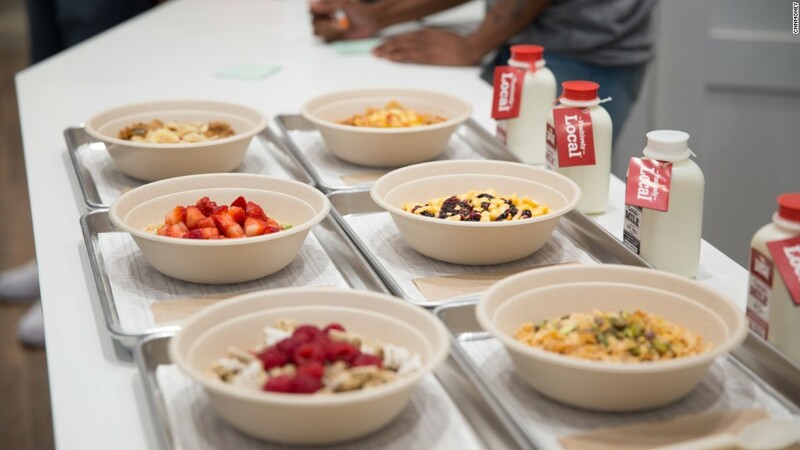 "We're seeing consumers either go for health and wellness, or many throw caution the wind and go purely for taste," says JPMorgan Analyst Ken Goldman. Retailers are typically better off committing to one type of consumer, but it makes sense for legacy brands like Kellogg to appeal to as many people as possible, explains Goldman. To attract the more health-conscious consumer, Kellogg is also entering into the lucrative snack business. Earlier this month, Kellogg announced plans to buy America's fastest-growing nutrition bar company, RXBar. News of the deal came just weeks after Kellogg named a new CEO, Steven Cahillane. General Mills is making a similar push. Last year, it bought EPIC Provisions, which specializes in meat snacks. It also acquired trendy, organic packaged food company Annie's in 2014. Kellogg hopes its new businesses fare better than Kashi, which it bought in 2000. The company badly mismanaged the healthy cereal brand, overexpanding and failing to ward off an increasing number of competitors. Kashi sales continue to slip. Cahillane sure has his bowl full.